Zum Jubiläum im Jahr 2019 findet eine zweiteilige Vorlesungsreihe statt, mit der ein kritischer Blick auf das Bauhaus gerichtet wird. Im Zentrum steht die Architektur: Ihre Rezeption, die Migration der Akteure und die Kritik am Bauhaus sind die Themen für Vorträge und Dialoge. The Bauhaus lecture series is conceived as a commentary to the Bauhaus 100th anniversary. 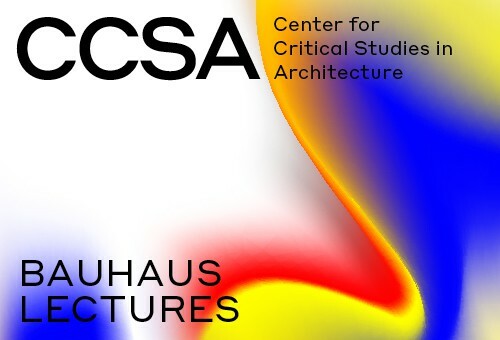 In fourteen lectures and talks, the reception, migration and critique of the Bauhaus and its architecture are presented through a critical perspective. Maristella Casciato is senior curator of architectural collections at the Getty Research Institute in Los Angeles. Casciato was previously associate director of research at the Canadian Centre for Architecture in Montreal. She was a tenured associate professor of History of Architecture at the University of Bologna, School of Architecture from 2002-2012. She has lectured widely in European and North American universities and has organized and chaired several international symposia.